Review by AllTheBestFights.com: 2017-10-15, fight not particularly good between Andy Souwer and Akiyo Nishiura: it gets two stars. The former ISKA, WKA and two-time K-1 World Max champion Andy Souwer entered this fight with a pro mma record of 2-2-0 (100% finishing rate) but he has a kickboxing record of 160-19-1. He lost to Daron Cruickshank (=Souwer vs Cruickshank) and Kazuyuki Miyata last year (=Souwer vs Miyata) but he came back to win in 2017 with Massaro Glunder. His opponent, Akiyo Nishiura, has a record of 13-8-1 (38% ko/tko victory rate – he has never won via submission) but he is not ranked as he hasn’t fought since May 5, 2014 when he defeated by Ryogo Takahashi. 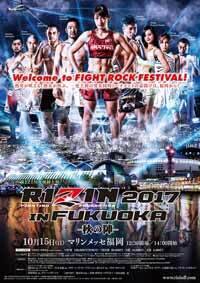 Souwer vs Nishiura is on the undercard of Rena Kubota vs Andy Nguyen – Rizin FF 7. Watch the video and rate this fight! Review by AllTheBestFights.com: 2016-12-29, some good exchanges between Andy Souwer and Kazuyuki Miyata but it is not enough to get three stars: it gets two. The former ISKA, WKA and two-time K-1 World Max champion Andy Souwer entered this fight with a pro mma record of 1-1-0 (1 knockout – but he has a kickboxing record of 160-19-1) while his opponent, Kazuyuki Miyata, has an official mma record of 14-9-0 (57% finishing rate). Souwer debuted in mma last year beating Yuichiro Nagashima (=Souwer vs Nagashima) but then he has lost to Daron Cruickshank in 2016 (=Souwer vs Cruickshank).Souwer vs Miyata is on the undercard of Mirko Cro Cop Filipovic vs Muhammed King Mo Lawal – “Rizin World Grand Prix 2016: 2nd Round”. Watch the video and rate this fight! Review by AllTheBestFights.com: 2016-09-25, fight not particularly good between Andy Souwer and Daron Cruickshank: it gets two stars. 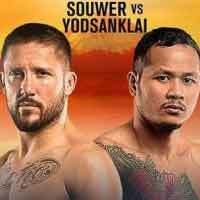 The two time K-1 World Max champion Andy Souwer is at his second pro mma fight, 1-0-0 (1 knockouts – but he has a kickboxing record of 159-19-1) while his opponent, the black belt in tae-kwon-do Daron Cruickshank, has an official record of 17-8-0 (65% finishing rate) and he entered as the No.72 lightweight in the world. Souwer debuted in mma last year, against Yuichiro Nagashima (=Souwer vs Nagashima) while the former Ufc fighter Cruickshank comes off the victory over Shinji Sasaki; before this bout Daron had lost three consecutive bouts, the last one with Paul Felder . 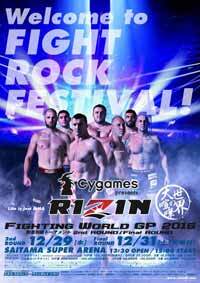 Souwer vs Cruickshank is on the undercard of Kron Gracie vs Hideo Tokoro – Rizin FF 2016 1st Round. Watch the video and rate this fight! Review by AllTheBestFights.com: 2016-04-03, exciting battle thanks to a non-stop pace and some very nice combinations: this is professional kickboxing at his very very best and one of the best k-1 fights of the year 2016, Andy Souwer vs Mohamed Khamal gets four stars! The former WMTA, ISKA and K-1 champion Andy Souwer entered this fight with a professional kickboxing record of 158-17-1 (98 knockouts) while his opponent, Mohamed Khamal, has an official record of 46-6-3 (10 knockouts). Souwer suffered his last loss in 2015, against Hinata Watanabe (=Souwer vs Hinata 2), but then he has won over Kuniyoshi Hironaka and Damian Segovia while Khamal lost to Sitthichai Sitsongpeenong in 2014 (=Khamal vs Sitsongpeenong) and then he beat Kongfah Sitmonchai, Chahid Oulad El Hadj (4-stars-fight Khamal vs Chahid 2) and Erkan Varol. Souwer vs Khamal, main event of the “World Fighting League: Where Heroes meet Legends”, is valid for the WFL 70 Kg title. Watch the video and rate this fight! Review by AllTheBestFights.com: 2015-09-16, close fight with some good exchanges: Andy Souwer vs Hinata Watanabe 2 gets three stars. The 2005 and 2007 K-1 World MAX champion Andy Souwer entered this fight with a professional kickboxing record of 156-17-1 (97 KOs) and he is ranked as the No.8 super welterweight in the world but he comes off the loss against Jonay Risco (one of the best kickboxing fights of the year, Souwer vs Risco). His opponent, Hinata Watanabe, has an official record of 33-15-1 (11 knockouts) and he entered as the No.9 in the same weight class. He suffered his last loss in 2014 when he faced Samo Petje but after this bout he came back to win beating Yuichiro Nagashima and Roman Mailov. In their first fight Souwer defeated Hinata in just one round (September 18, 2010); this second bout is the main event of Rebels 38. Watch the video and rate this fight! 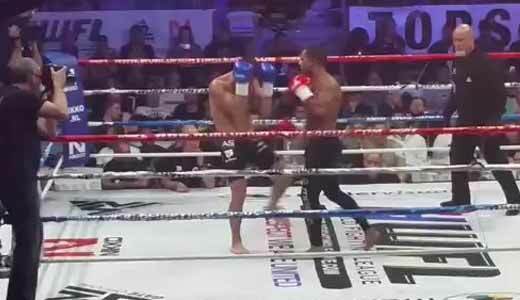 Review by AllTheBestFights.com: 2015-04-18, speed, high pace and some very nice combinations in a close fight where the action never stopped: Andy Souwer vs Jonay Risco is one of the best kickboxing fights of 2015 and it gets four stars! Souwer vs Tanaka) and Dong Wenfei (=Souwer vs Wenfei). Souwer vs Risco is on the undercard of Mohamed Boubkari vs Moises Baute – Enfusion Live 27. Watch the video and rate this fight! Review by AllTheBestFights.com: 2015-04-04, some good exchanges between Andy Souwer and Dong Wenfei but it is not enough to get three stars. The 2005 and 2007 K-1 World MAX Champion Andy Souwer entered this fight with a professional boxing record of 156-17-1 (98 knockouts) and he is ranked as the No.8 super welterweight in the world; he has already fought three times in 2015 beating Jiao Fukai (=Souwer vs Fukai) and Hideya Tanaka (4-stars-fight, Souwer vs Tanaka) but between these two bouts he lost to Sitthichai Sitsongpeenong (=Souwer vs Sitthichai). His opponent, Dong Wenfei, has an official record of 43-14-0 (15 knockouts) and he comes off five consecutive victories. Souwer vs Wenfei is the main event of Wu Lin Feng held on April 4, 2015. Watch the video and rate this fight!